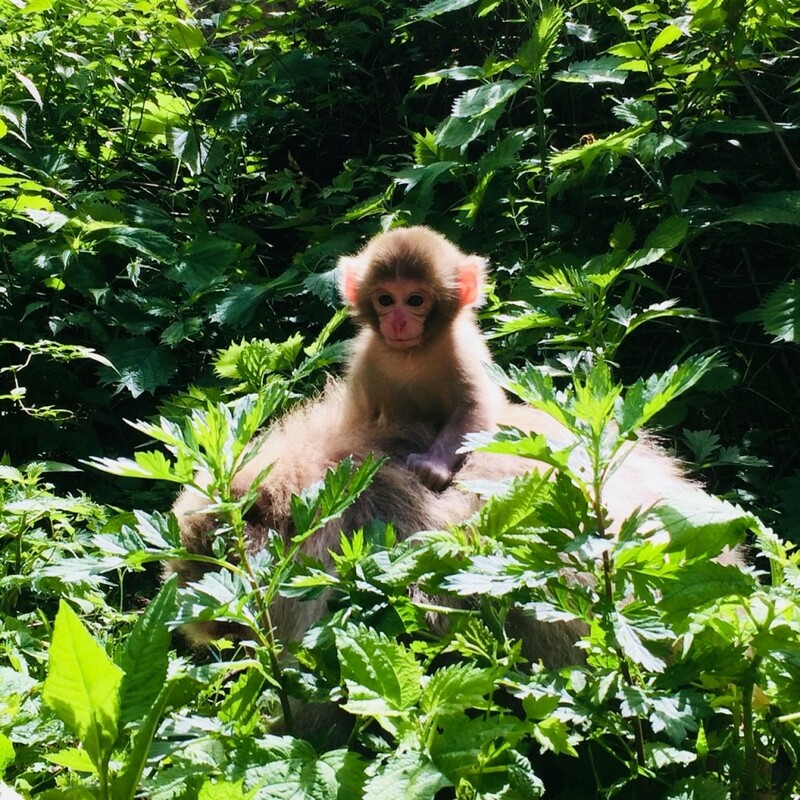 For those thinking of visiting the Snow Monkey Park in summer, there’s one big reason – or should we say, many small, adorable reasons – to do so, baby monkeys, lots of them! 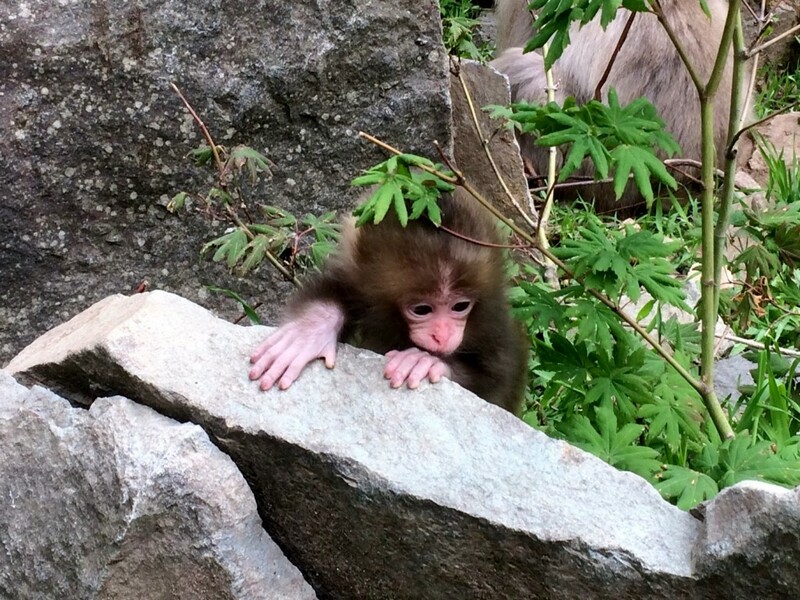 Since April, we have been witnessing the emergence of this years baby macaques into the park. 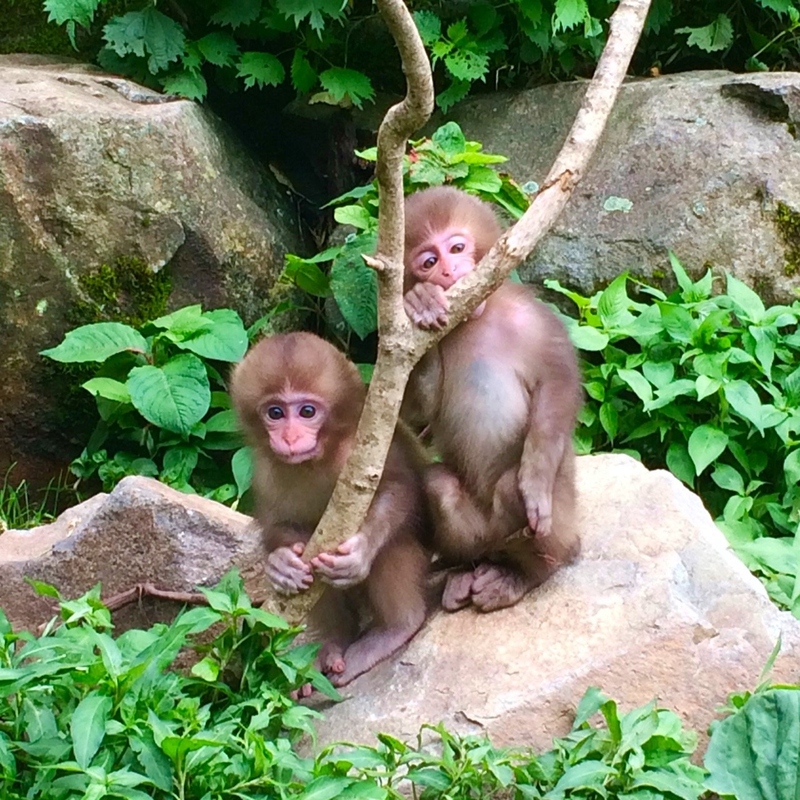 At first shy but always curious, the babies are increasingly mobile and independent, and their initial exploration of their world are a pleasure to observe, making summer the most entertaining time of year to visit the park! 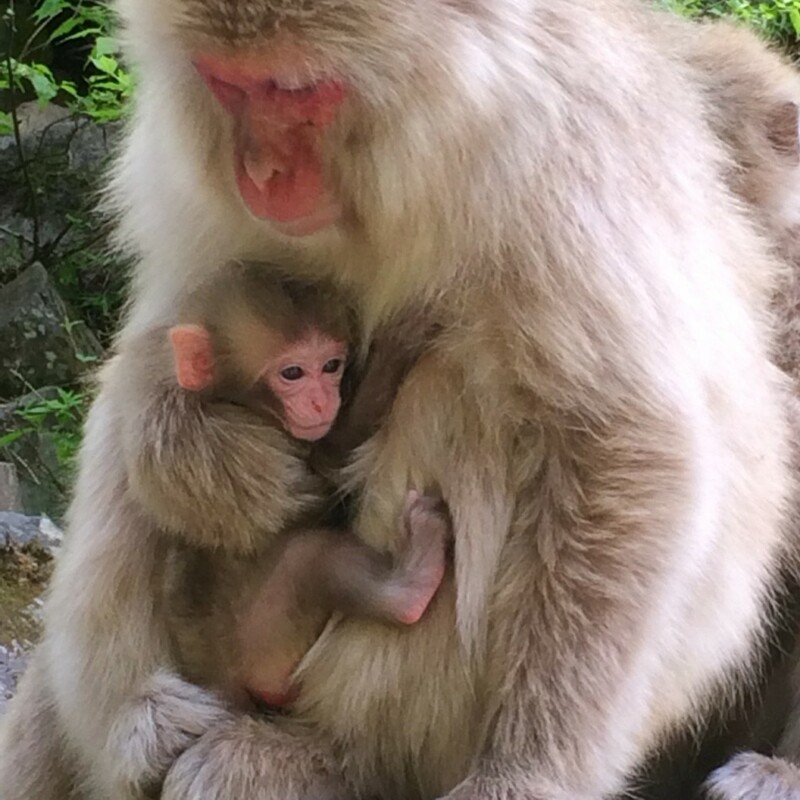 Female macaques are pregnant for approximately five months, through the depths of winter, and give birth from late-April through to June. As such, we saw the first babies of 2018 appear in the park a couple of months ago however it is only now that they have found their feet (and hands, so to speak) and are bounding about the park. Mums have now relaxed a little too and are letting their bubs venture into the world to clamber over rocks, gnaw on anything they can get their hands on, and fall out of trees and bushes. 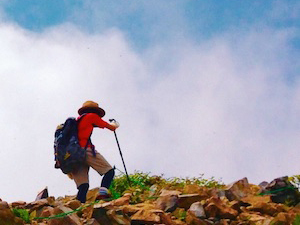 Summer is a time for first explorations and the best time to enjoy this adorable sight. 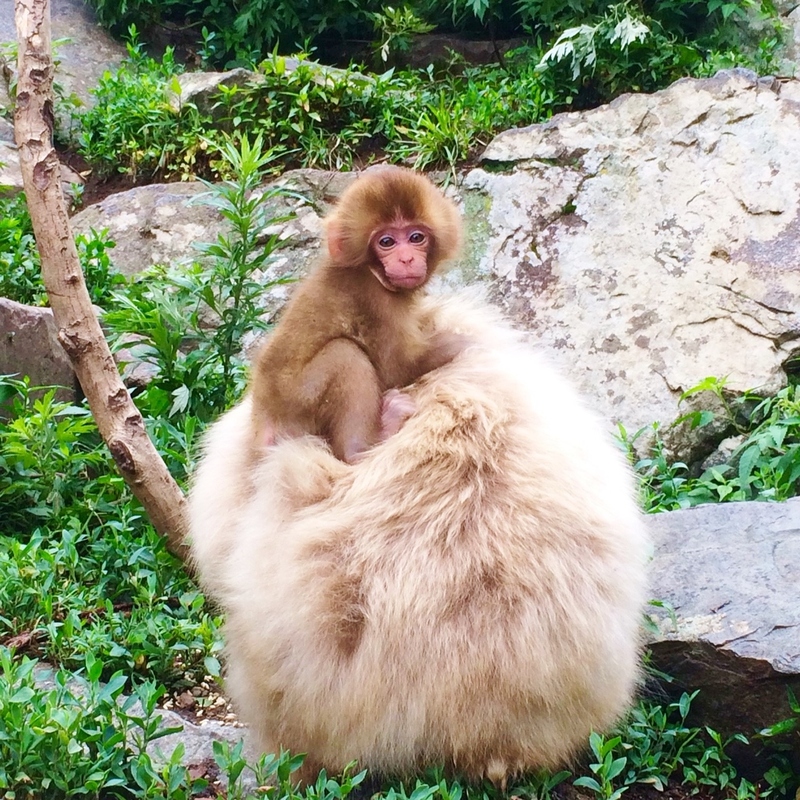 As previously profiled in this blog, tourist visitation numbers to the Snow Monkey Park are much lower in summer meaning that visitors have the space and time to enjoy watching the baby monkeys, without the crowds and cold of winter. 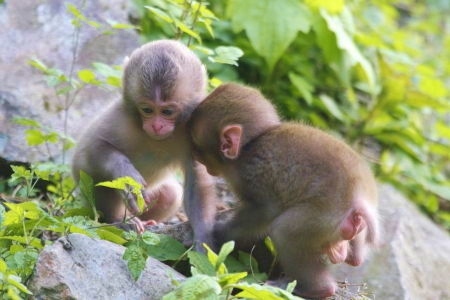 The most adorable sight of all is two or more babies teaming-up to investigate the world around them. 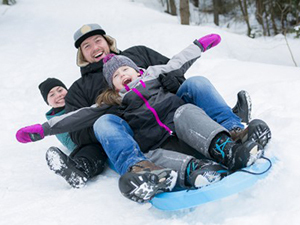 Everything they encounter is new and fun! Awkward wrestling is punctuated by time for cuddles or bouts of dozing-off. The monkeys are wild but come to the park all year round and are very comfortable with being in close proximity to people. They are very used to visitors, and often come close, particularly the babies whose glassy, bulging eyes shine-out in curiosity about us! 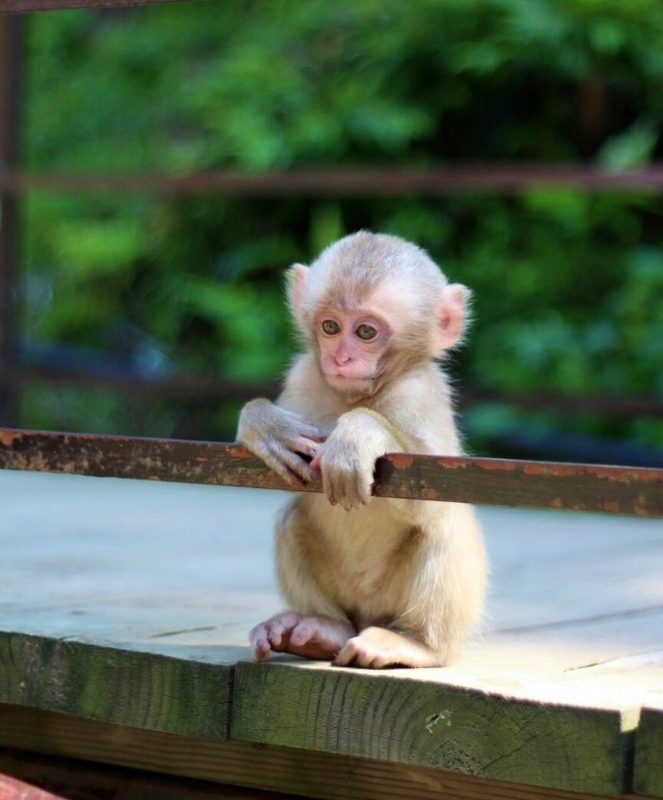 It makes visiting the monkey park in summer a truly memorable and endlessly adorable experience. 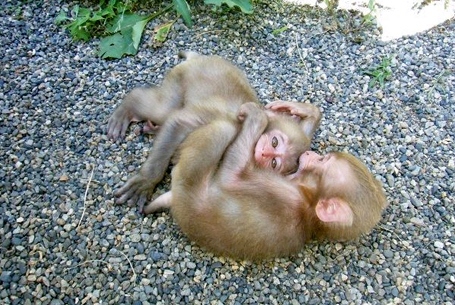 Of course, when visiting the Snow Monkey Park we ask that you please follow the rules and do not touch, feed, or get too close to the monkeys. 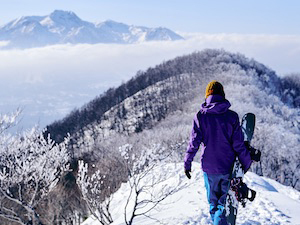 Don’t forget your camera, you’re going to need it! 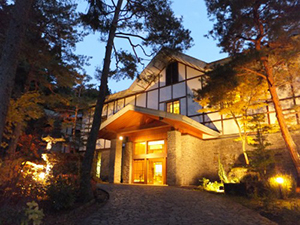 The Snow Monkey Park is readily accessible by both train and bus from JR Nagano Station. 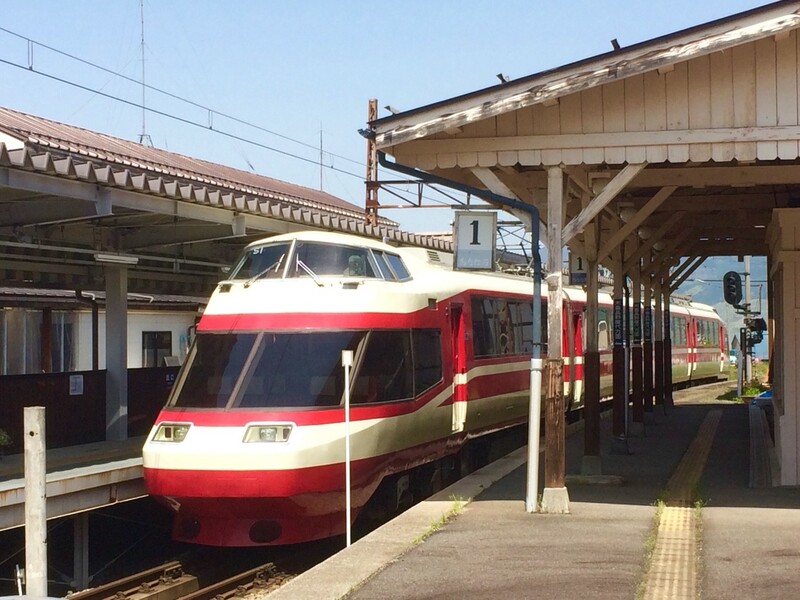 The Nagano Dentetsu (Nagaden) train line services the monkey park via JR Yudanaka Station. 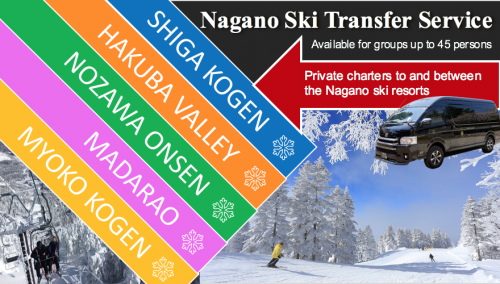 Numerous trains operate each day – including Nagano’s famous Yukemuri-class – along a scenic rail line, a great way to enjoy the surrounding countryside as you make your way to the park. For further information regarding the train timetable please refer to our access page. 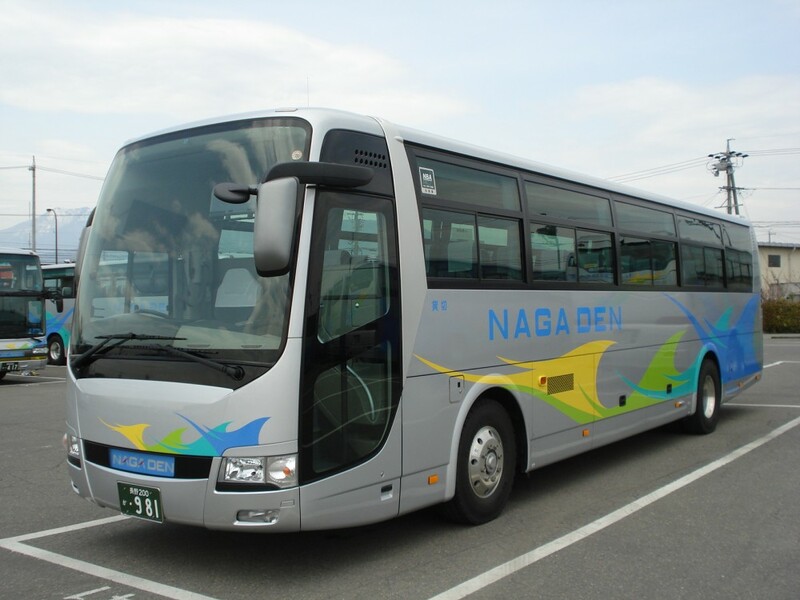 Nagaden also operates express buses (as pictured below) directly from JR Nagano Station to nearby the Snow Monkey Park. No advance booking is needed. 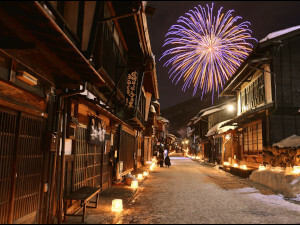 You simply buy a ticket from the driver once on the bus which will drop you at Kanbayashi Onsen, nearby the park. 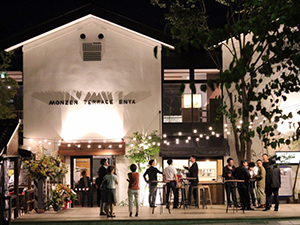 Express buses can be accessed via JR Nagano Station’s East Exit and depart from Bus Stop 23. Furthermore information regarding the bus schedule can be found through our access page.